'Bookselling is easy', someone said 'you buy a book for a dollar and sell it for two.' That's pretty much it + a pencil, rubber, laptop, battered Volvo and a supply of books, boxes and tape. In my experience books are very easy to buy but less easy to sell. Money is the scarce and rare item, so it is difficult to understand why some booksellers make it so hard for customers to buy books from them. Money is what we want. Money to buy more books. However when a bookseller is not shooting himself in the foot, he is usually punching himself in the face. 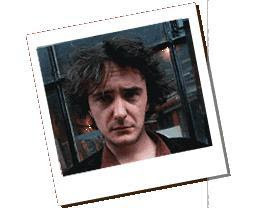 Dylan Moran said of his great curmudgeonly creation, the bookseller of 'Black Books'- "There is a guy in a Dublin bookshop who provided the image of Bernard Black. He looks like he’s swallowed a cup of sour milk and peed himself at the same time. He has this green bilious expression, years of displeasure have shaped his face. In fact he looks like every other second hand bookshop owner I’ve seen. It seems to go with the job - being miserable....He’s still there now seething in his ash-smudged cockpit, daring somebody to buy a book". Here are some useful guidelines. 1. Price your books so high that they will only sell to the rich or deranged. 2. Make sure your shop looks as if it is closed so that no one comes in. Poor or sparse lighting can help and a stiff unoiled door is a bonus. 4. Greet the customer with a glower, a scowl or a look of deep mistrust. If you are feeling generous a frosty 'Good Morning! will suffice. 6. If they don't buy anything follow them with your eyes to the door and plant an imaginary dagger between their shoulder blades and bid them a joyless and sneering goodbye. 7. Refuse all offers on books with a snort of utter contempt and only give a discount (10% absolute maximum) when explicitly requested by long established booksellers who are spending at least £100. 8. Calculate the discount to the nearest penny even if the amount is many hundred of pounds. Thus £112 becomes £100. 80 not £100. In some cases, say in California, sales tax (8.5%) can be added thus reducing the discount to a more acceptable 1.5%. 9. If you must take credit cards charge an extra 5% to cover expenses. Refuse Paypal and wait 2 weeks for checks to clear. 10. Always close exactly on time no matter how many customers are in the shop or how much they are buying. Close on all holidays including President's Day, Michaelmas and Saint Swithin's day. 12. If another dealer buys an expensive book have a searching enquiry as to what went wrong; if it was priced by a member of staff fire them immediately. 13. If someone dares to phone you offering you a collection of rare books treat them with great suspicion, if any titles are mentioned dismiss them as common and undesirable. If they insist ask them to bring the books to the shop. If they intimate that the books are of very high quality, but they want nothing or very little for them, pick them up in your Volvo when you are in the area. 15. Demand extra postage on any book that is a gram overweight and charge heavily for materials and packing time. 16. Ignore all requests for pictures of books, these come from time-wasters. If they persist inform them that the camera is broken. 18. Pack books unwrapped in a (used) jiffy bag, they have sufficient protection in themselves. 19. Fight any attempt to return a book. A statement that all books must be returned within three days of ordering will suffice. 20. Always state if a book is ex-library but don't forget to call it 'fine' ; most are without the stamps, labels and perforations. I had that exact experience with a guy at Green Apple in SanFrncisco. He added sales tax cos I had no Resale Number and then took off 10 p/c. The discount was so pathetic I culled my pile to the one book they had really underpriced. They could not care less. The recently vanished P.J. Hilton in Cecil Court Road adhered to most of those rules. 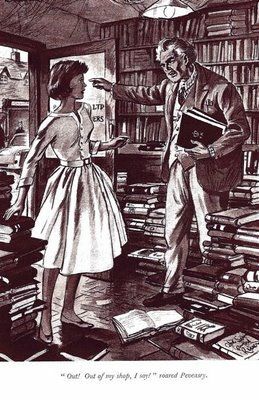 The fellow seemed friendly until you'd start looking at books, at which point he'd sarcastically demonstrate how to remove a book from a shelf ("both hands! "), and how to open a book (not beyond 90 degrees). Funnily enough, I once saw him buying stock for his shop in *your* Charing Cross shop round the corner, where he was hypocritically opening books BEYOND 90 degrees, and NOT using both hands. An enjoyable read. But it must be said that many online sellers (especially on eBay and Amazon) aren't experienced booksellers. Often they are just trying to sell collections belonging to deceased relatives and may not even be aware that people even actively collect books nowadays, hence laconic descriptions. One other thing to consider is that a book may be listed as 'rare' when no other copies are found for sale and library searches yield almost nothing, but after a period of time, there is a sudden glut, making the description look misinformed. Endangered species they may be, but one only has to attend the PBFA book fair in Bloomsbury to find the few remaining booksellers who adhere to the archetypes described above. Furtively buying and selling before the doors open to the public, disparaging any form of enquiry from an unknown face, they woozily scurry from cheap book to cheap book as if ‘rats lamenting the removal of their sacred objects’ – in future epochs the archaeologists will have to reconstruct the meaning of their behaviour from a sedimentary layer of compacted paper. Thing is – I miss ‘em already. I really do. A sneering attempt at comedy, clearly written by someone with a chip on his shoulder. It is difficult to find a used bookshop now - but even harder to find one as described. I found it very true to life. Much as I value my two local bookshops in the North of England, not least because their prices encourage me to buy, the props. could easily sell me more if they made just a little more effort at customer service. One shop is a particularly well-respected establishment in York, and I'm every time I go in the staff are bitching openly about their colleagues' shortcomings and about their mailorder customers. This was referenced at BookSeller Central and I enjoyed it and actually laughed although the type is pretty much gone. Thanks. Humour is a funny thing. The link to the reviews of Forever After Books is a gem. Not seen anything like it in 40 years. Thank you so much. The bookshop you mention may have been much hated, but it wasn't on Love Street. It was, appropriately enough, on Haight. Great post. Thanks for the laugh. Thankfully I live in an area with two lovely used bookshops -- neither of which follow the Blacks Books model. I gave up buying books from Amazon two years ago. I used to work in a comic book shop. One afternoon, a gentleman asked whether we had any Swamp Thing comics. I pointed him in the right direction, and he excitedly went through the box, before saying that there were a lot there that he needed, and was there a cashpoint nearby. While he popped across the road, my boss made me double the price on all of the Swamp Thing comics. I don't know what was worse, the look of shame on my face when the customer returned, the look of horror and confusion on his, or the way that my boss mumbled "Time waster!" as the "browser" left the shop. Fee' - £2.00 from memory - refundable on any purchase. Thanks for the laughs. For some unknown reason the proprietor of the Haight shop took a liking to me and I had many fruitful visits to her shop. I always considered the crankiness part of the shop's charm. Very true and funny but another thing is the book seller who totally ignores you, lets you wander around and then when you ask for a book just says "dunno look for yourself." Prices of books on the shelf is another thing. The bookshops where I live in NW London, (Bell Street, Church Street used to be full of them and stalls) Seem to have priced their books in the good times and have never changed them to suit the austerity times we are now in. With the books I have collected over the years I would be more then happy to just get my money back when ever I do sell them, the profit has been in the time and pleasure finding them, keeping them safe for future generations and looking for and finding information about the authors and subjects. Book collecting is not just a pleasure it is a real privilege. I don't think there is a "Love Street" in San Francisco [although that might be a good name to suggest to the planning commission]. The bookstore referred to in the third paragraph was probably the one located one street west of [and not quite parallel to] Market, at the bottom of the Tenderloin. I went into that store about 25 years ago and was met by a grizzled old guy who basically ran me out of the store because I didn't have a particular book in mind! Like many people in that part of the City, he was few books short of a shelf. The article and list are spot on. I have carried and wheeled hundreds of boxes of books into used bookstores to sell all around the San Francisco Bay Area, and have encountered an incredible number of weird, miserly, miserable, suspicious people who own and work in bookstores. As an inveterate book hoarder, myself, I feel competent to say that that same nutty hoarder behavior you see on the TV shows about people who have trouble getting rid of anything is behind the behavior of grimacing, unhappy booksellers who REALLY don't want to part with their books, at all, but who have to do so in order to keep the store. One guy in a really good used and rare bookstore in Nashville regularly insulted me whenever I went in to find books related to my dissertation topic. Once I asked him something like: "Do you have any books related to 'counting coup' among your books on Indians?" He responded by growling, "AMONG? AMONG? You actually use the word AMONG? Is that what they teach at Vanderbilt? How pretentious!" I left the store wondering whether he actually read any of the books in his store. One bookseller in the Haight [in San Francisco]--who really was a reader--had absorbed so much information, and had become so "addicted" to reading, that he was forced by whatever domns possessed him to stay in his storefront shop every night for hours after he locked the door, bent over the counter, motionless, reading in the bright flourescent light. Passersby could see him in there at midnight, oblivious to the mohawked gawkers peering at him, wondering if the still figure at the counter was alive or dead. He opened up for me one night to look through some boxes of pretty decent books. As he went through the volumnes in the boxes, I could hear him mumbling information about each author or book, as if he was reading from the catalog cards in his head. "Hmmm," he finally said, stumped, and bought one that was obviously missing from his mental--and mercantile--collection. While I was putting the dolly back into the van, I saw him sit back down and begin reading his new acquistion before it had a chance to get cold. Someone walked up and knocked on the door to the shop and the man looked up frowning and yelled, "I'm closed. Go away!"